Though Maison Louis Jadot dont own the vines from the Chassagne side of the vineyard, they certainly know what to do with the grapes. 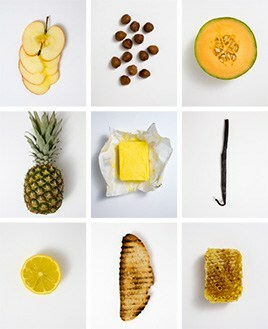 Wave after wave of fruit bursts across the palate and there is majesty throughout, especially in the aftertaste. The old order changeth slowly at Maison Louis Jadot. Veteran winemaker Jacques Lardire is still very much in charge, but his eventual successor Frdric is starting to play a more prominent role. Dont expect a revolution, but a little evolution is doubtless possible. The acidity of 2010 very much suits the Jadot white wine style, while their fullish extraction of Pinot Noir has worked notably well in several red cuves such as the Volnay, Clos de la Barre which we have selected for the first time this year. Where the wines come from one of the various Jadot domaines we supply the relevant information in brackets. 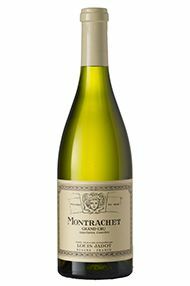 The Wine Advocate - The 2010 Montrachet, from the Chassagne side, is utterly magnificent. Smoke, slate, butter, spices and juicy yellow stone fruits explode from the glass as this totally captivating, alluring wine shows off its pedigree. Waves of fruit continue to develop in the glass. The 2010 Montrachet is simply huge. It is compelling today, and I imagine it will be compelling in 30 years time. This is a dazzling effort. Anticipated maturity: 2020+. Maison Louis Jadot owns over 60 hectares of vineyard, many of them premier and grand cru, and in Jacques Lardière has one of the most respected winemakers working in Burgundy today, from impressive purpose built cellars on the road to Savigny-les-Beaunes. The house of Louis Jadot was founded in 1859 though the family had previously been vignerons in the region, acquiring their famous Clos des Ursules in 1826. After the death of the last male members of the family, long-time manager André Gagey took over running the business which was subsequently purchased by the Koch family, owners of Jadot’s US importers Kobrand. 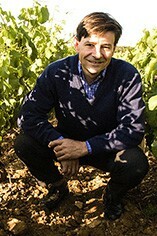 The company is today run by Pierre-Henri Gagey, assisted by head winemaker Jacques Lardière who has been responsible for the company’s wines since 1970. Recent developments have included the establishment of the tonnellerie Cadus in Ladoix-Serrigny and expansion of the modern winery facilities on the Route de Savigny, with a new white-wine vinification centre completed in 2009. On the vineyard front there have been purchases in the Mâconnais (Domaine Ferret) and the Beaujolais, notably with the Château des Jacques in Moulin-à-Vent and the Château de Bellevue in Morgon. Jacques Lardière is fascinating to talk to and much prefers to talk about the philosophy of his winemaking than specific techniques. Basically, once healthy grapes have been selected, he wants to let the wine run its own course as much as possible. Every intervention he sees as a closing of a door rather than an opening. So there is no formal pre-maceration, no control over the upper limit of temperature during fermentation, no pumping over because that will accelerate the fermentation process while punching down will not. The wine remains in the vat after the fermentation until the chapeau, the crust of skins and pips, starts to slide down of its own accord, at which time the wine has finished digesting the whole fermentation process. The wine is then raised in barrel, typically with a good third of new oak across the cellar, perhaps up to 50 per cent in a weaker vintage. With the whites, Lardière often partially blocks the malolactic fermentation in order to retain acidity and finesse, and the reds are fermented at unusually high temperatures and macerated for up to a month, endowing them with depth of fruit and complexity. Both the reds and whites are of impeccable quality and reflect the individual terroirs of their respective villages and sites, allied with Lardière`s supreme winemaking skills. The domaine vineyards belong to various entities: Domaine Louis Jadot itself, Les Héritiers de Louis Jadot, Domaine André Gagey and, on farming contracts, Domaine dela Commaraine and Domaine du Duc de Magenta.